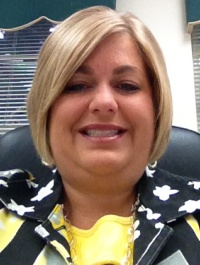 Alison Palmer began working for the Haralson County Board of Commissioners in March 2008 as the payroll clerk. She became Interim County Clerk in August2008 and was officially appointed Clerk in January 2009. 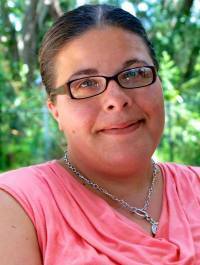 Alison received her Associate Degree in Accounting in June 2009 from Chattahoochee Technical College. She has earned the title of Certified County Clerk and is currently working on the Certificate for Government Accounting and Human Resources. 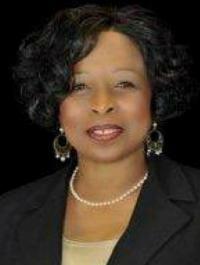 She has agreed to serve as the District 1 Director for the Georgia County Clerks Association. As County Clerk, Alison is responsible for maintaining all the records for the Board of Commissioners, duties as executive secretary to the Chairman, and manages the Commissioner’s office which includes Accounting, Payroll and Human Resources. Alison has served on the committee to formulate the Strategic Plan for long term development in Haralson County, is an active UGA Cooperative Extension Master Gardener and will be on the board of the newly forming Keep Haralson Beautiful. Alison currently serves as President of the Bulldog Club of Atlanta and Treasurer of the Bulldog Club of America, Division VIII. She and her husband, Tim, have been married for 32 years and they have one son. District 1 counties include: Bartow, Catoosa, Chattooga, Dade, Fannin, Floyd, Gilmer, Gordon, Haralson, Murray, Paulding, Pickens, Polk, Walker andWhitfield. Beth Rider was appointed County Clerk in September, 2008. Ms. Rider is a native of Stephens County and a graduate of North Georgia Technical College. She received her certification as County Clerk in February 2012 and became a certified County Commissioner October 9, 2014. She is a member of the Georgia Clerk’s Association and the International Institute of Municipal Clerks. Mrs. Rider provides administrative support to the Board of Commissioners and serves as part of the county’s administrative team. She works with the County Administrator/Finance Director to coordinate county administrative issues. She assists the Commissioners in administering day-to-day operations. She serves as the official custodian of all County records; prepares and publishes agendas and board meeting minutes and issues building permits. The Board of Commissioners appointed Ms. Rider as the Open Records Officer; Legislative Coordinator and Secretary for the Planning and Zoning Board for Stephens County. 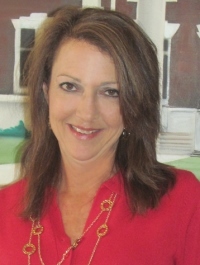 Ms. Rider has completed the Georgia Academy Regional Economic and Leadership Development Program; serves as Ambassador Chairman for the Toccoa-Stephens County Chamber of Commerce; and is a 2012 graduate of the Toccoa-Stephens County Leadership Class and currently serves on the Toccoa-Stephens County Leadership Board. Ms. Rider is a lifelong resident of Stephens County, married to Leon Rider. They have three children and four beautiful grandchildren. District 2 counties include: Banks, Dawson, Forsyth County, Franklin, Habersham, Hall, Hart, Lumpkin, Rabun, Stephens, Towns, Union and White. Barbara Sanders was appointed County Clerk in January 6, 2009. She began her career with DeKalb County Government in March 1990 with the Planning Department as the Planning Commission Clerk. She served in that capacity for nine years. Ms. Sanders received an Associate of Arts Degree from the Cortez Peters Business College in Washington, D.C. and was certified as a County Clerk from the Carl Vinson Institute, University of Georgia in April 2006. As County Clerk, Ms. Sanders primary mission is to efficiently, professionally and accurately record and maintain the official minutes of all activities and actions of the DeKalb County Commission and its standing Committee meetings. In addition, she is also committed to serving the interests of the entire community by enabling good government through the innovative use of technology. Ms. Sanders is committed to serving the residents of DeKalb County through Records Management which allows for more efficient and cost-effective operations. 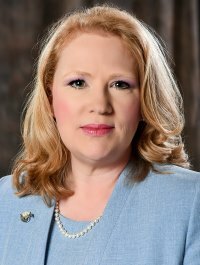 She is extremely proud of two recent appointments – one as District 3 Director and also as an At-Large member of the Executive Committee with the Georgia County Clerks Association. Ms. Sanders is the mother of one son who is also employed with the DeKalb County Sheriff’s Department. Her passion is mentoring youth, caring for older Americans and traveling. She is a devoted member of Hopewell Missionary Baptist Church in Norcross, Georgia. District 3 counties include: Cherokee, Cobb, Clayton, Douglas, Fayette, Fulton, Gwinnett and Henry, Rockdale. Carlette Davidson came from the K-12 world of government where she served as the Registrar for Lamar County School systems for more than eight years. She continued her career in Atlanta with the Department of Education serving as a lead analyst in the world of data collection, payroll, and accounts payable, consolidated funding and instructional technology.As a consultant, Mrs. Davidson worked with a team of companies implementing the SAP system for Fulton County schools and the SunGard system for Muscogee County School System related to all Financial, Benefits, Payroll, Purchasing, Fixed Assets and other modules. 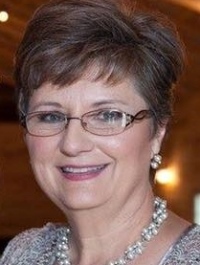 On November 2010, after 12 years plus of on the road traveling, Mrs. Davidson came back to her hometown to begin her career in local government with the Lamar County Board of Commissioners serving as the Financial Analyst/Office Manager and also as the Clerk for the Lamar County Board of Commissioners.She was promoted to fulltime County Clerk in January 2014. She has just completed her courses for Clerk Certification at the February Conference. Mrs. Davidson’s duties include preparation of meeting notices and agendas for public hearings and all meetings of the Board of Commissioners, preparing and compiling supporting materials for meetings, recording of Board meeting minutes and follow-through of official actions. She maintains all records including ordinances and resolutions of the county. 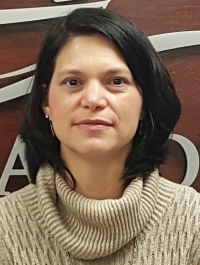 Mrs. Davidson is in charge of all contracts, bank reconciliations, grants, and is the administrator of the ERP system for the county-including payroll, accounts payable, general ledger and purchase orders.Mrs. Davidson duties also include maintaining the county website. Mrs. Davidson is in charge of all liability insurance with the county. Mrs. Davidson is designated as the Liaison to the Open Records Officer, which is the attorney for Lamar County. Mrs. Davidson has completed all of the Safety Coordinator Trainings and serves as the Safety Coordinator. Mrs. Davidson oversees the HR/Payroll Office. Mrs. Davidson is a lifelong resident of Lamar County. She and her husband Ray have grown children and one grandchild. A daughter Rachael, a son-n-law Johnny, and a grandson, Brogen. They also have a son, Seth and daughter-in-law Palmer. She loves spending time with her family, is the director for the second grade Sunday school at the First Baptist Church of Barnesville, is a member and past officer of the moonflower Garden Club, Cancer Society and volunteers with other community activities. 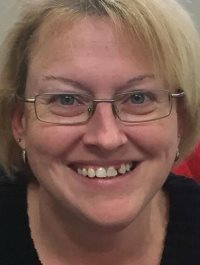 She is happy to serve as the District 4 coordinator of the Georgia County Clerks Association. District 4 counties include: Butts, Carroll, Coweta, Heard, Lamar, Meriweather, Pike, Spalding, Troup and Upson. District 5 counties include: Athens-Clarke, Barrow, Elbert, Greene, Jackson, Jasper, Madison, Morgan, Newton, Oconee, Oglethorpe and Walton. District 6 counties include: Baldwin, Bibb, Crawford, Houston, Jones, Monroe, Peach, Pulaski, Putnam, Twiggs and Wilkinson. Patrice Crawley currently serves as the County Clerk for Columbia County.Patrice has over sixteen years of government experience.She became a Certified County Clerk in 2006. District 7 include: Augusta-Richmond, Burke, Columbia, Glascock, Hancock, Jefferson, Jenkins, Lincoln, McDuffie, Taliaferro, Warren, Washington and Wilkes. Suzanne Huff has worked with the Unified Government of Cusseta-Chattahoochee County for eight years; she recently finished the hours needed for the Clerk’s mandated training. Suzanne lives in Cusseta and has two grown sons and one grandson. She recently remarried.She loves her job and fellow colleagues. District 8 counties include: Clay. Columbus-Muscogee, Crisp, Cusseta-Chatahoochee, Dooly, Georgetown-Quitman, Harris, Macon, Marion, Randolph, Schley, Stewart, Sumter, Talbot, Taylor and Webster. Amanda Hannah was appointed County Clerk in February 2013. 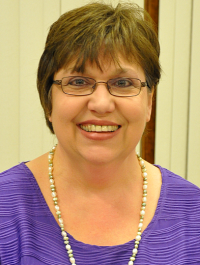 She began her employment with Wayne County as a Clerk Typist in 1995. During the years Mrs. Hannah has been employed by Wayne County, she has assumed increasing responsibilities in many different areas of County Government including Ambulance Clerk, EMA Deputy Clerk, Transit Bookkeeper, Transit Drug and Alcohol Manager and Payroll Clerk. In Mrs. Hannah’s capacity as County Clerk she provides assistance to the County Administrator and County Commissioners in the administration of county government. She serves the general public by responding to requests for information. She serves the Board of Commissioners by preparing commission meeting agendas and minutes. She also maintains files of all official documents of the commission and oversees accounts payable. Mrs. Hannah most enjoys serving the County Commissioners, County Administrator and the residents of Wayne County to effectively accommodate their needs. Mrs. Hannah is a graduate of Dodge County High School and Altamaha Technical College. Mrs. Hannah enjoys traveling, gardening and spending time with family and friends. District 9 counties include: Appling, Bleckley, Candler, Dodge, Emanuel, Evans, Jeff Davis, Johnson, Laurens, Montgomery, Tattnall, Telfair, Toombs, Treutlen, Wayne, Wheeler and Wilcox. 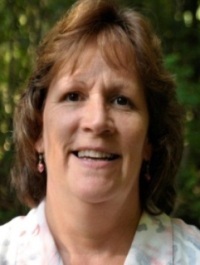 Carrie has been in the Human Resources Field for 26 years joining County Government in 2002 as Human Resources Director.She was appointed County Clerk in July 2008.She is married and they have four children. Her Community Service activities include: Kiwanis, Chamber Ambassador, Grady Substance Abuse Awareness Prevention Team Board Member, Whigham Community Council, and Archway Board Member. One of her sons plays travel ball so at least every other weekend is spent traveling and being at the ball field.She is also an active member of Family Worship Center.Carrie loves the challenge of County Government and every day being different. District 10 counties include: Baker. Calhoun. Colquitt. Decatur, Dougherty, Early, Grady, Lee, Miller, Mitchell, Seminole, Terrell, Thomas and Worth. District 11 counties include: Atkinson, Bacon, Ben Hill, Berrien, Brantley, Brooks, Charlton, Clinch, Coffee, Cook, Echols, Irwin, Lanier, Lowndes, Pierce, Tift, Turner and Ware. Kathryn Bishop was appointed County Clerk in January 2009. She began her career with Camden County in August 2005 when she was initially hired as Deputy Clerk. As County Clerk, Mrs. Bishop provides support for the Camden County Board of Commissioners. Her duties include preparing and publishing agendas and board meeting notebooks, preparing minutes of all board meetings and assuring compliance with the Open Meetings Act. She serves as the official custodian of all County records including contracts, leases, resolutions and ordinances. She serves as the Official Records Custodian for the Board of Commissioners. Mrs. Bishop also provides access and maintains the Camden County Records Retention Facility. In her work as a County Clerk she most enjoys interacting with the public and strives to always provide exceptional customer service. 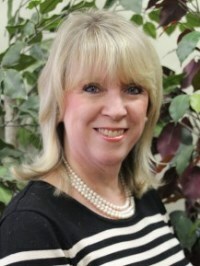 Mrs. Bishop is very proud to be affiliated with the Georgia County Clerks Association and looks forward to serving as the District 12 Coordinator. Mrs. Bishop is a lifelong resident of Camden County and is married to Brian Bishop, who works at the Camden County Board of Assessors Office. She has two sons, Zachary and Alexander. She loves spending time with her family, volunteering with community initiatives, and she has a strong commitment to serve the citizens of Camden County. District 12 counties include: Bryan, Bulloch, Camden, Chatham, Effingham, Glynn, Liberty, Long, McIntosh and Screven.